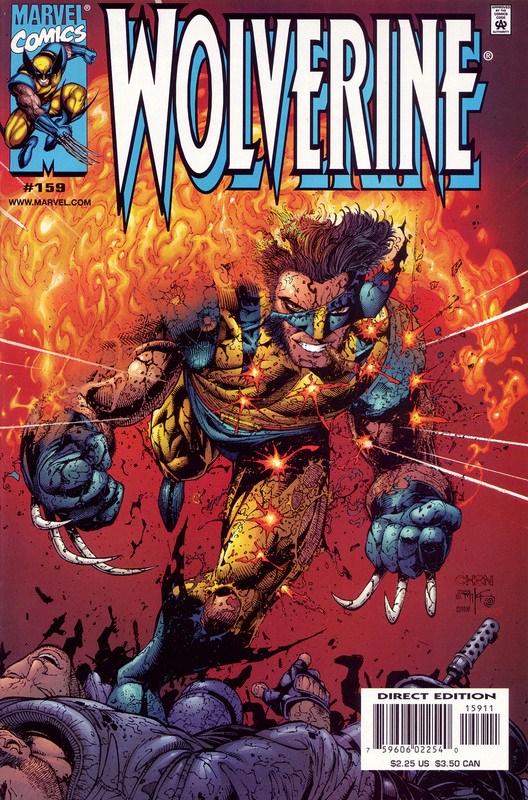 Sean Chen delivers a striking Wolverine cover at #12. This image really drives home the savage invincibility that so defines the character. I love how he’s literally on fire and being shot and he still keeps coming. And did you notice the cigar? This has to be one of the last times you will see Wolverine depicted smoking as Marvel editorial made the decision to no longer allow any “good-guy” characters to smoke around this era if memory serves. I’m pretty sure it was toward the end of Sean Chen’s run. Anyone know exactly when that happened? Come back tomorrow night for number #11 in the count-down of my Top 100 favorite comic book covers. It’s OK, but some of those places where he looks like he’s being shot should’ve been drawn as just normal bullet wounds, rather than having that flash.